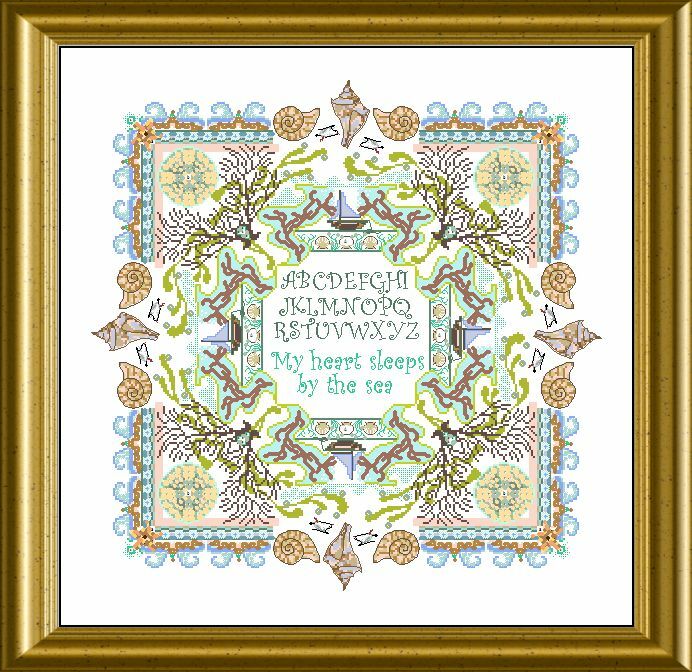 This was a Summer Mystery — you can now stitch this piece with lots of sand, corals, and kelp…In the center you find a saying and an Alphabet – so it makes a beautiful Sampler as well. Lots of beading and Special Stitches make your voyage interesting, as well as an assortment of beautiful threads, crystals, and beads. The mere design size is 255 x 255 stitches. You can check the materials here. 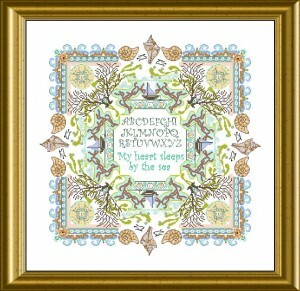 I see I can buy the Seaside Mandala Mystery chart, is there a pack to purchase for the beads, speciality threads etc please? They do supply you with material packs and /or fabrics etc. Is there a material list?